Snowy holiday delights in Salzburgerland. Natural snow slopes, sparkling ice crystals, imposing mountain massifs and a valley as picturesque as can possibly be: this is the Saalbach region in winter. 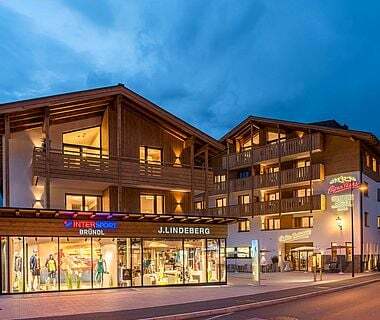 The largest and most modern ski resort in the province of Salzburg impresses with a varied activity program, delicious cuisine and numerous holiday experiences. Skiing is clearly the most popular activity here. Everyone who goes skiing in breathtaking Saalbach experiences a higher class of winter holiday. 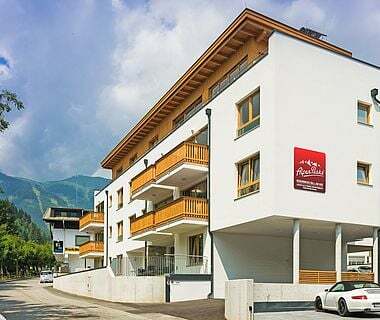 To round it off: an apartment or room in the Ski Hotel Sonnleiten directly on the slopes, with the newly built Kohlmais cable car. The view of fresh powder snow and perfectly groomed slopes makes the feet of passionate skiers tingle in the morning. Are you ready for Austria's largest ski area, the Skicircus Saalbach Hinterglemm Leogang Fieberbrunn? Winter sports fans start their adventure in Saalbach, which leads from SalzburgerLand to the Tyrol. And all this is available right from the hotel door of the ski hotel Sonnleiten. A modern and newly built six-person cable car takes you directly from the hotel to the mountain, a world that you have to experience! The Skicircus Saalbach Hinterglemm Leogang Fieberbrunn promises alpine, freeride and freestyle fun of the highest level. It scores with a variety of snow parks, freerider routes, floodlit slopes, slopes and other attractions. 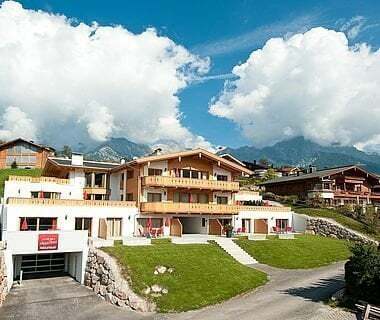 With its 270 kilometres of perfectly groomed slopes, the ski resort has established itself as one of the leading winter holiday destinations. 140 kilometres of blue, 112 kilometres of red and 18 kilometres of black pistes guarantee ideal terrain for winter sports enthusiasts of all skill levels. 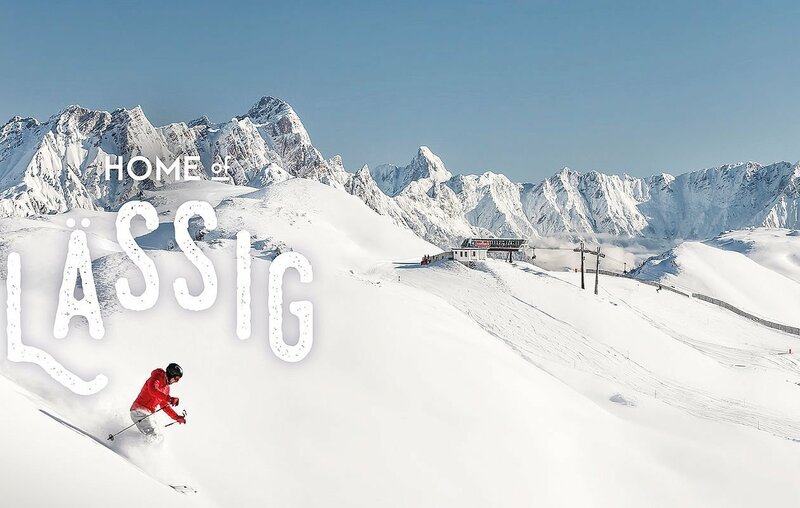 70 cable cars and lifts in the "Home of Lässig" bring families, singles and couples to the summit. 60 rustic and modern mountain huts invite you to socialize, warm up and dine. Imposing mountain panorama included! Big fun for the whole family is tobogganing in Saalbach Hinterglemm. You can experience the fun in and around Saalbach: for example on the toboggan run on the Reiterkogel and on the toboggan run Almbahn 4er. Did you know? At the Spielberghaus, the illuminated toboggan run turns night into day. The starry sky provides a clear view and even more joy! Speed enthusiasts in Saalbach enjoy a thrill of a special kind. You can compete in races in the Snowmobile City on the prepared course with your skidoo. May the best one win! For all those who have always wanted to ride a snowcat: now it's possible! After enrollment, it's up to you to control this massive vehicle yourself. 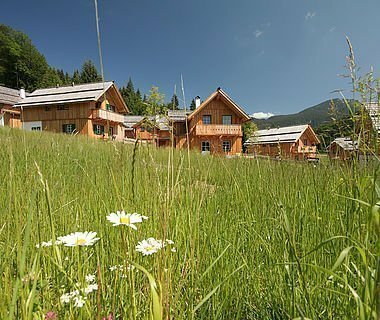 Are you looking for the most beautiful places in Saalbach Hinterglemm? You don’t want to win a speed challenge, but just enjoy it? Experienced mountain guide Anne Lappi will accompany you on your way to the most beautiful places that you can reach with snowshoes. Tours take place every Wednesday at 10 a.m.. Meeting point is the train reversal point in Lengau. You need only bring solid shoes and a large dose of explorer attitude. Even those who prefer classic hiking to stomping in deep snow will find what they are looking for in Saalbach Hinterglemm. Did you know that the tourist region offers guided hikes that are completely free? In Saalbach it takes place every Tuesday from 10 a.m. from January to March. The hike starts at the Infocenter Saalbach. In Hinterglemm you can hike every Thursday at 10 a.m. on wintry dream paths. Starting point here is the info point Hinterglemm-Ost near the Bergfried lift. Families, especially children, will love the snow tubing course at the Unterschwarzachbahn in Hinterglemm for sure. With a valid ski pass you can experience the fun for free. Grab the tires, sit down, hold on tight. Let's go! 120 metres of pure action conjure up a laugh for young and old. During a winter holiday in Saalbach one thing must not be missing: variety! The always bulging event calendar of the ski resort offers this in every case! The winter season starts with the Mountain Festival, which will take place from 7th to 9th December. A mix of hut life and music from rock bands as well as DJ sets make the event a unique program item. All other events can be found here. If you need a break from all the winter sports skiing holiday action, it's best to have a cultural day. Recommended for a day off the slopes is a visit to the Heimathaus and ski museum in Saalbach. 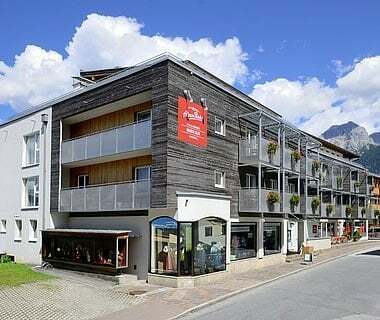 Families can experience the history of Saalbach up close. It’s development from a penniless mountain farming village to a top tourist destination is truly interesting. In the ski museum visitors can admire more than 200 ski specimens from the history of the sport. If the weather does put a spanner in the outdoor program, it's time for wellness. 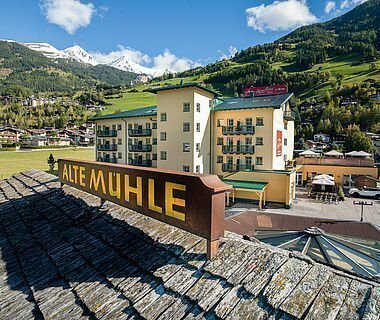 The Tauern Spa Kaprun is considered to be one of the most exciting spa landscapes in Salzburgerland. And best of all: this wellness paradise can be reached in just 30 minutes by car. The elegant spa area covers more than 20,000 square metres of wellness and water worlds. 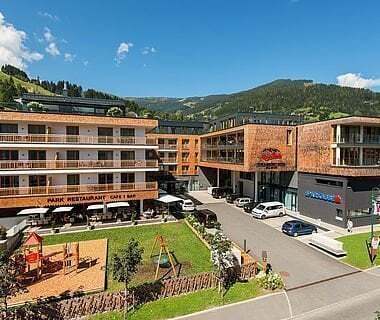 Relaxation for young and old in the Tauern Spa: Eleven pools, ten saunas and steam baths, the "Kidstein" children's spa area, the spa restaurant with bar and a fitness room - all this and much more can be found in the Tauern Spa Kaprun. If you feel like training: The course program is included in the entrance fee for the spa. Special tip: With yoga you can relax both body and soul. 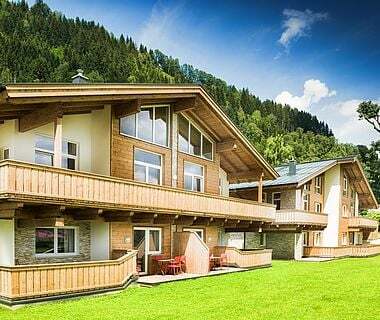 Would you like to secure your place at Hotel Sonnleiten right on the slopes in Saalbach? We look forward to your non-binding inquiry and are happy to help if you need more information.